The Stuff I Need checklist app has now been released for free on Windows Phones. This is a minimalistic app that allows you to either list the stuff that you need to buy, or the stuff that you need to do. Previously, this app has already been very well received on BlackBerry 10, where it has thousands of downloads and an average rating of four and a half stars. 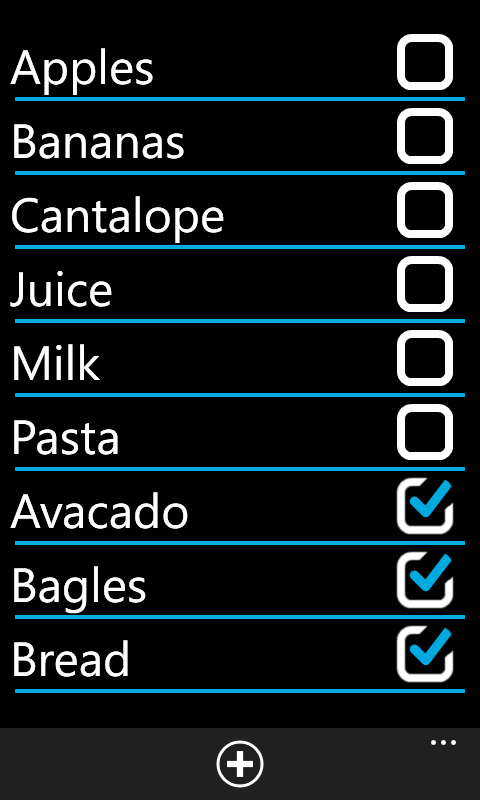 This app was originally designed as a grocery list app, but is flexible enough to be used for any purpose. Existing items can be edited or deleted after giving them a long press.